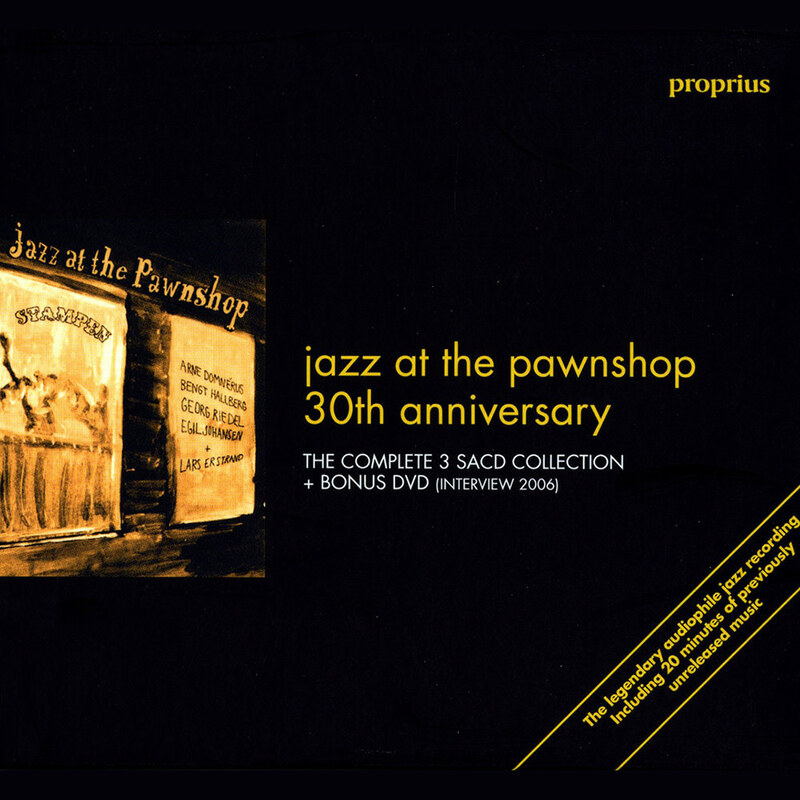 Jazz at the Pawnshop is considered one of the most famous audiophile albums in music. Recorded over two nights in December 1976 at the intimate Pawnshop jazz club in Stockholm, both the musicianship and the engineering came together in a magical symbiosis captured on this enduring classic. This 30th anniversary package includes for the first time the complete recordings from those two nights; some of the tracks having only been available in limited editions. Recording engineer Gert Palmcrantz used one pair of microphones spaced eight inches apart for for the main pick-up, with a couple of microphones placed to register the “live” atmosphere and a few discrete support mikes, all recorded on a pair of two-track Nagra tape recorders in the restaurant kitchen! Venue: The Pawnshop (Stampen) Jazz Club in Stockholm, Sweden, December 6-7, 1976. Microphones: Neumann U47 cadioids, KM 56.s, M49 cardioids: O.R.T.F. Disc 1: February 2005, Disc 2: February 2006, Disc 3: November 2006.